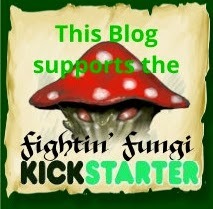 I'm a proud backer of the Fightin' Fungi Kickstarter. My family enjoys the Song of Blades & Heroes game rules and this looks to be a fantastic addition to it. Plus Mushroom Folk miniatures?!? Yes! Join today!